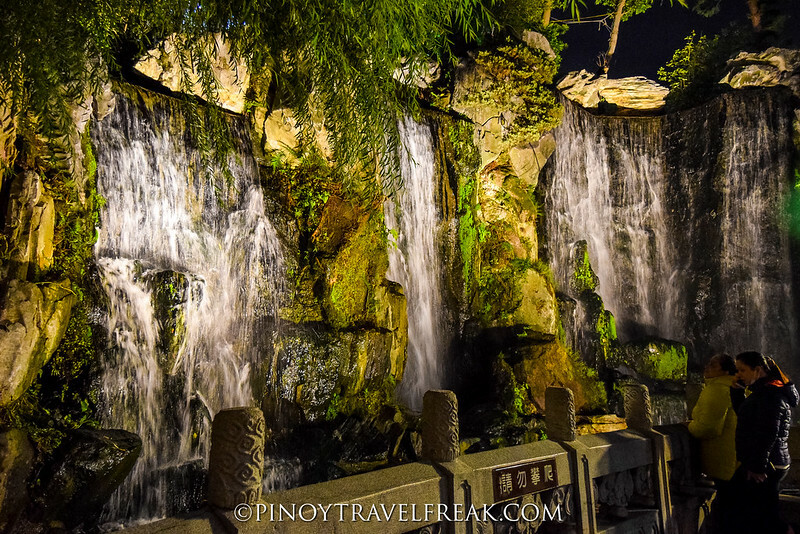 Taiwan is probably one of the most underrated travel destinations in Asia. 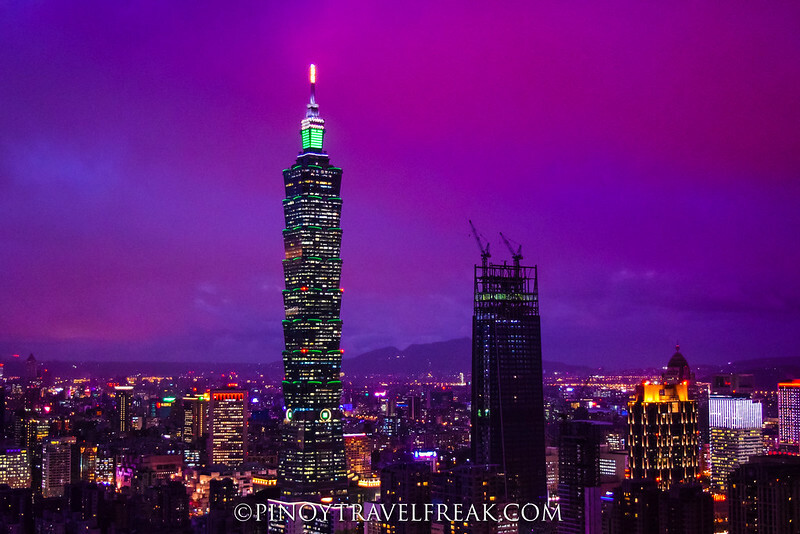 But like its Asian counterparts, Taiwan has plenty to offer in terms of rich culture, ancient temples, night market, exciting food, and new adventures. Admittedly, Taiwan is in the bottom list of my Asian countries to visit. 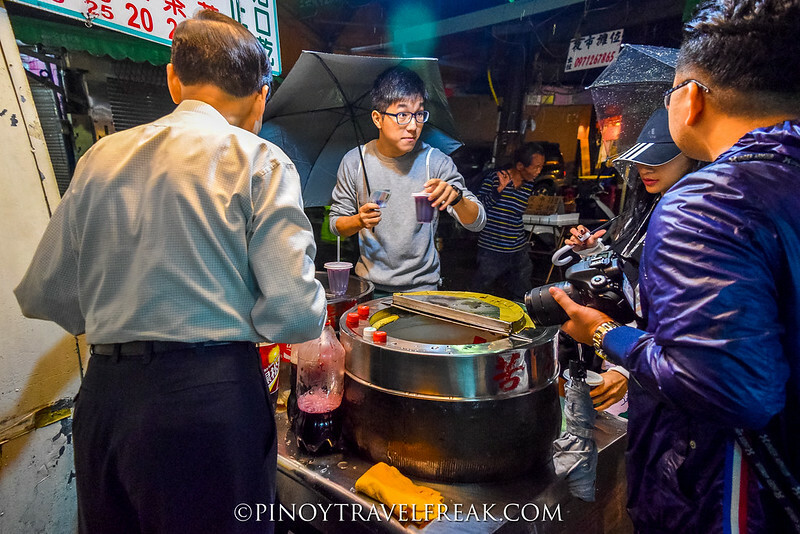 For most Filipinos, Taiwan is a popular country to work in as an OFW, and not as a tourist destination. 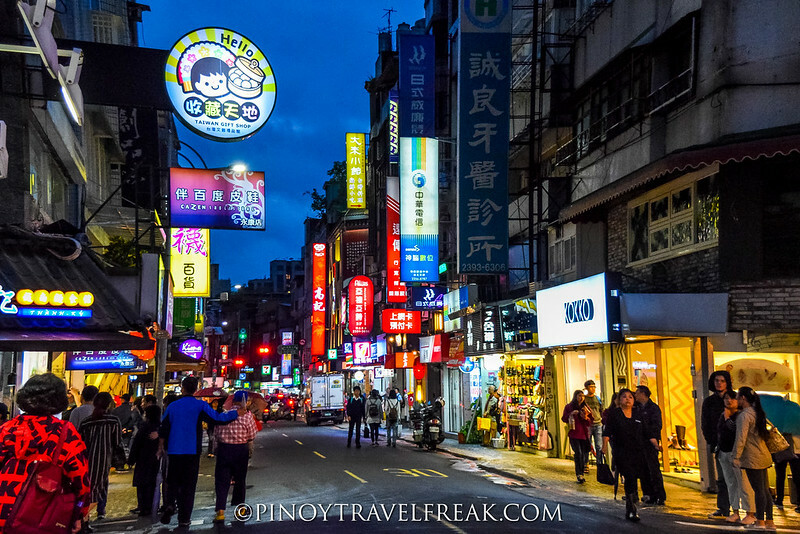 Apart from that, most Pinoys are discouraged by the visa requirements in entering Taiwan, thus, they prefer to see Hong Kong for leisure trip instead. My recent trip to Taiwan, however, changed the impression I feel toward the country. Taiwan surprised me in a number of ways. Most in a good way, that is. 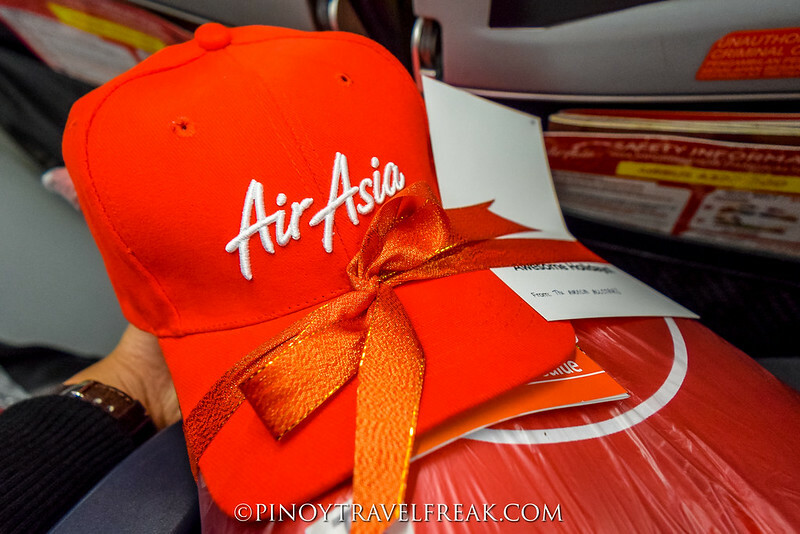 Thanks to AirAsia Philippines, I was given an opportunity to visit Taiwan for the first time, by flying us to Taipei during their inaugural flight from Manila. 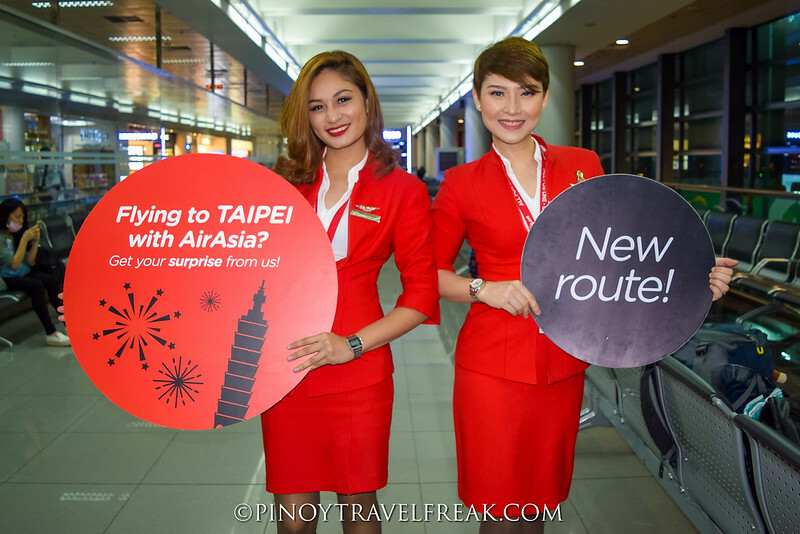 AirAsia Philippines now flies direct to Taipei from Manila (once daily) and Cebu (three times weekly). 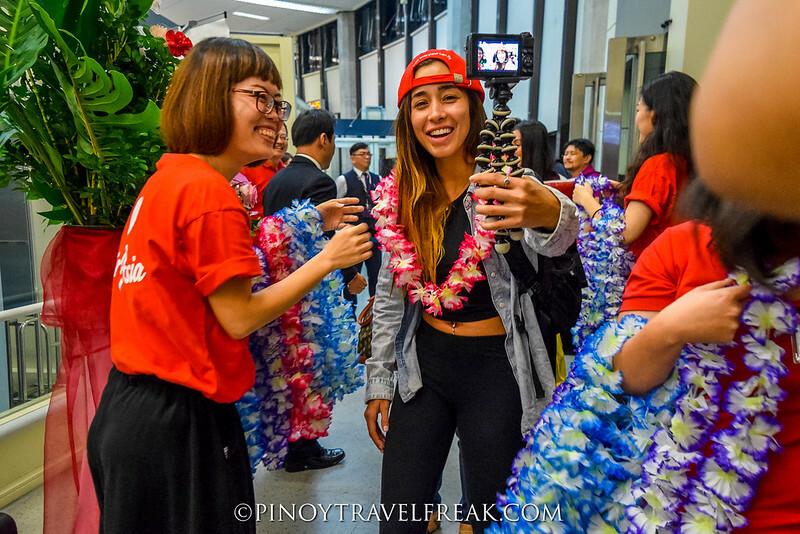 Whether flying from either Cebu or Manila, Filipinos have now more options to choose when traveling to and from Taiwan. Just like I mentioned, Taiwan has full of surprises especially for first time visitors like me. 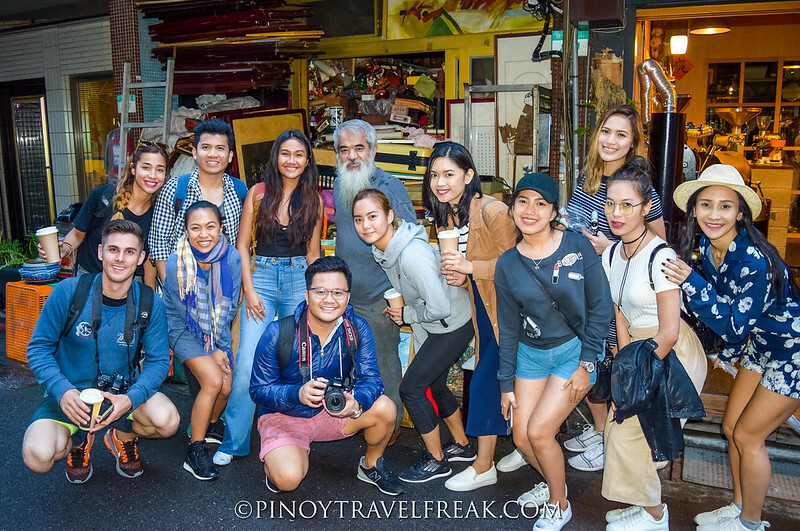 Together with newly-met Filipino friends, we embarked on a unique kind of experience by backpacking Taipei and exploring it like a local. The best part is that we got to explore most of Taipei for free, thanks to the young and passionate local tour guides from TourMeAway. 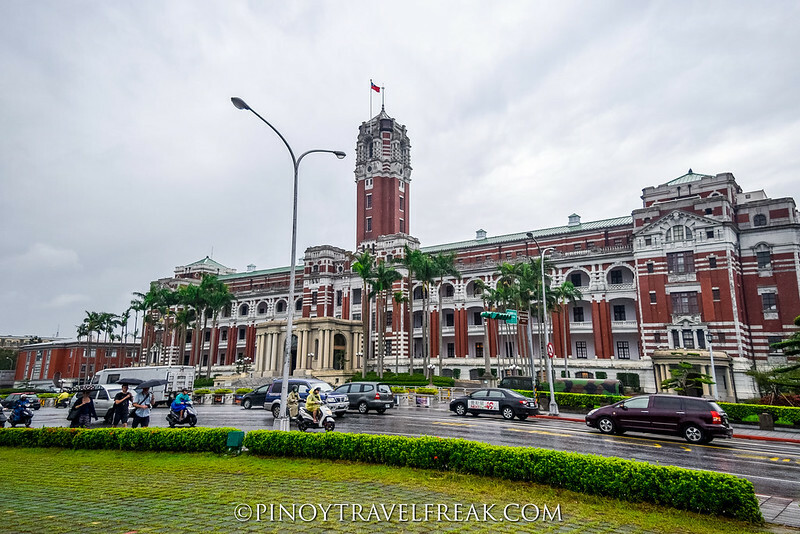 Yes, you can see Taiwan's capital through the local eyes by joining the FREE walking tours by TourMeAway. 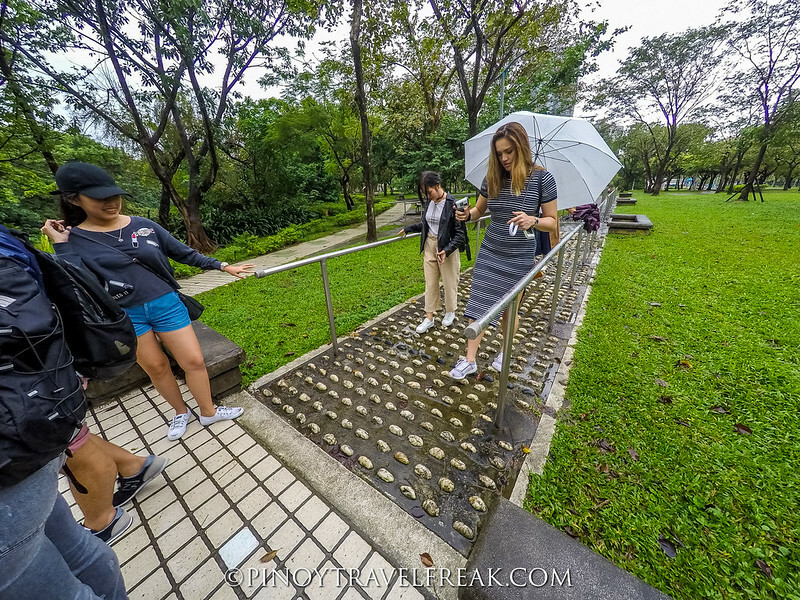 They offer six different types of walking tours such as Old Town Taipei Tour, Taipei Chill Out Tour, Longshan Temple Tour, Hunger Game, Pub Crawl Tour, and Vintage Taipei Tour. Each tour offers different kind of experience (more on this below). 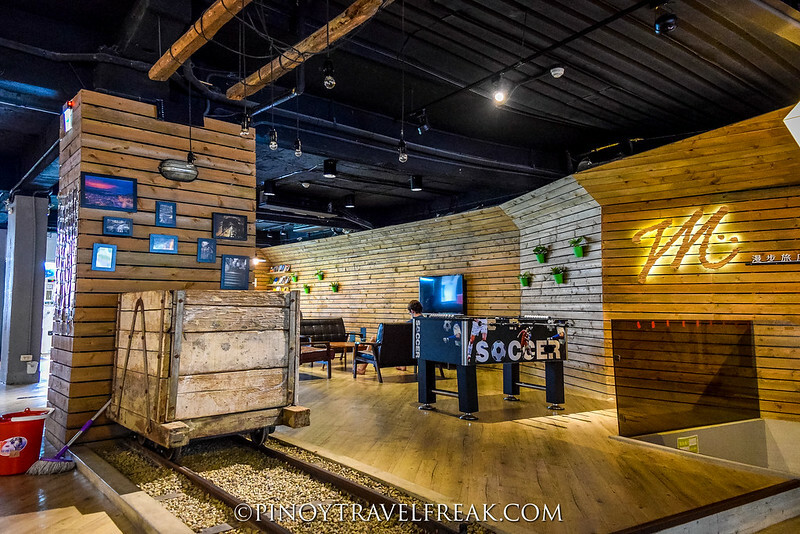 If you have 4 days and 3 nights to stay in Taipei, you can copy our itinerary below. 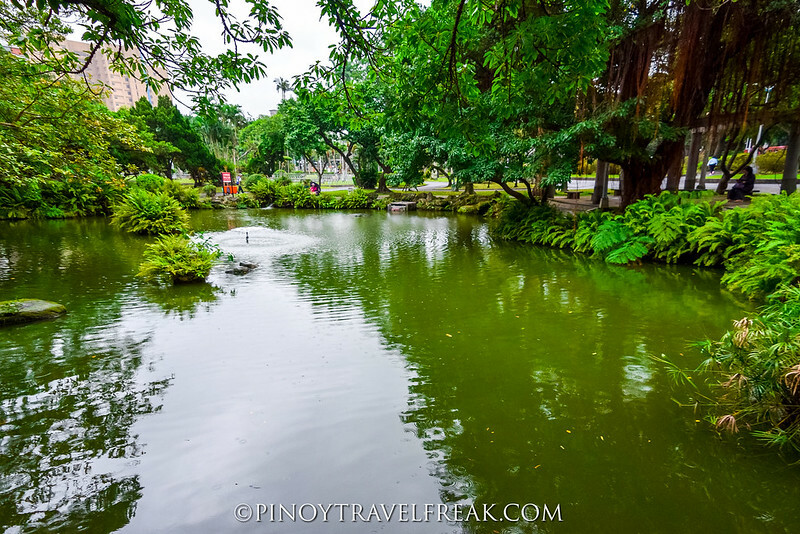 Take note that we weren't able to stick to our itinerary religiously due to bad weather. It was raining most of the time and made our tours a bit challenging yet fun. 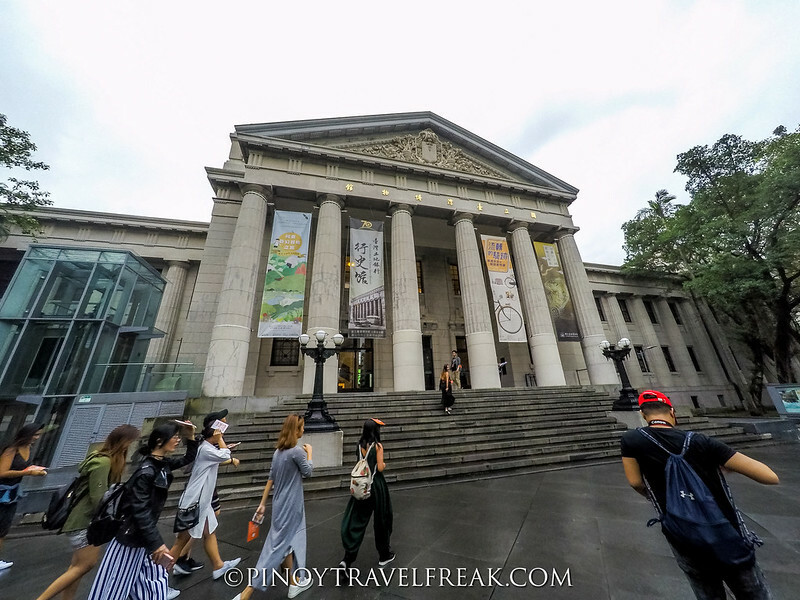 Our itinerary was slightly changed like cancelling one of the tours, but it wasn't a problem since there's plenty of things to do in Taipei that four days is honestly not enough. 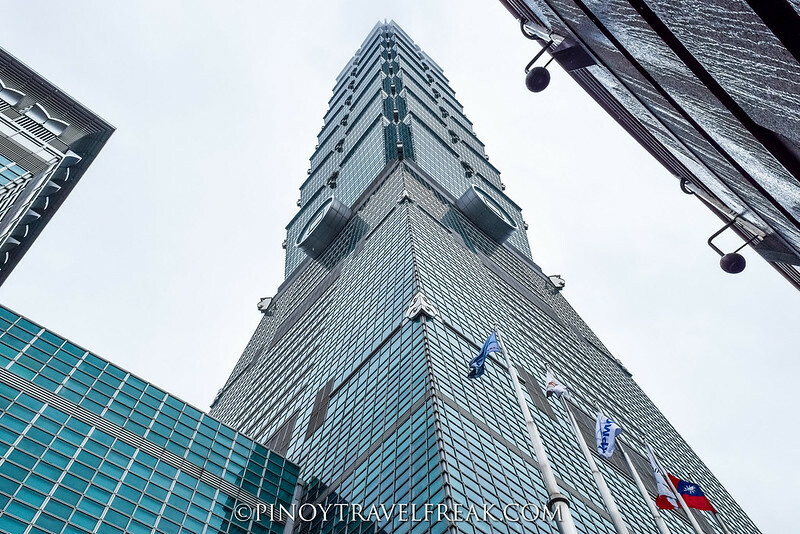 For example, we decided to skip the Bike Tour due to uncooperative weather in exchange for an indoor trip by visiting Taipei 101, one of the tallest buildings in the world. 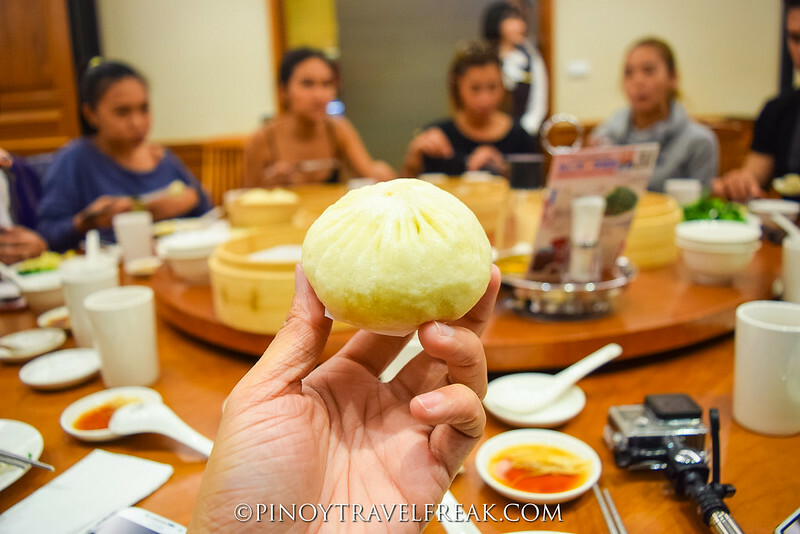 I actually thought it was a good option as we were able to try dining for lunch at the world-famous Michelin-star restaurant specializing in xiao long bao, the Din Tai Fung. 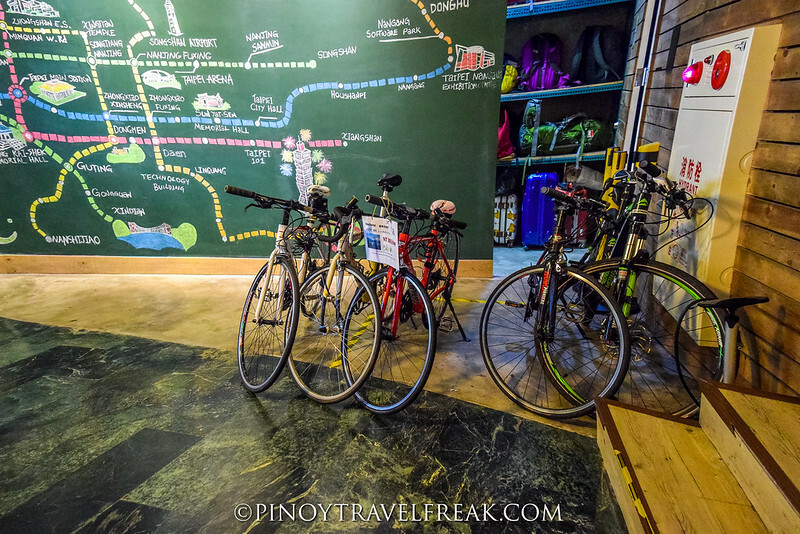 Five tours are the basic walking tours offered by ToursMeAway and two (Bike Tour and Mt. Elephant Hike Tour) are private tours arranged for our group by our hostel. 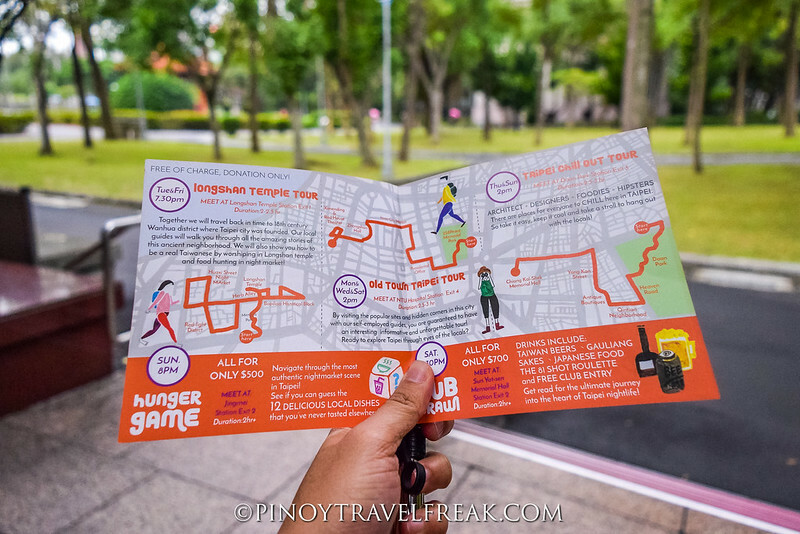 Take note that TourMeAway's walking tours are open for anyone to join but for limited slots only and reservation via their website is required. The tours have also corresponding schedules on a weekly basis so make sure you consider that when designing your itinerary. They also offer private tour which is exclusive for your group at your convenient time. 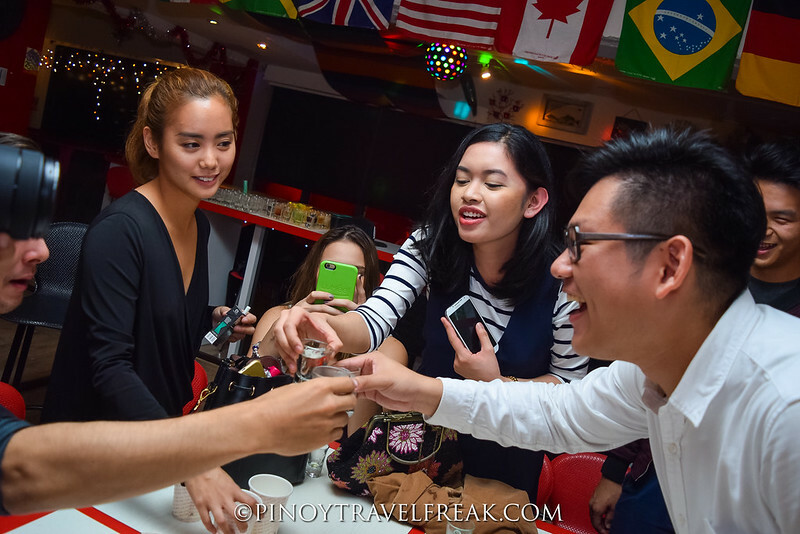 The best thing about TourMeAway is that their tour guides are composed of locals from Taipei who love traveling and adventure as well. And they all speak very well in English. So they are the best persons to talk about their city from food, secret spots, history, night life and basically everything about Taiwan. The tour guides are doing this as volunteers - yes, that's how much they love their city that they are offering these tours for free. Most of the tour guides we've met have day job and become volunteer tour guides after office hour or during weekends. Since they're doing this for free, donations are welcome and appreciated. 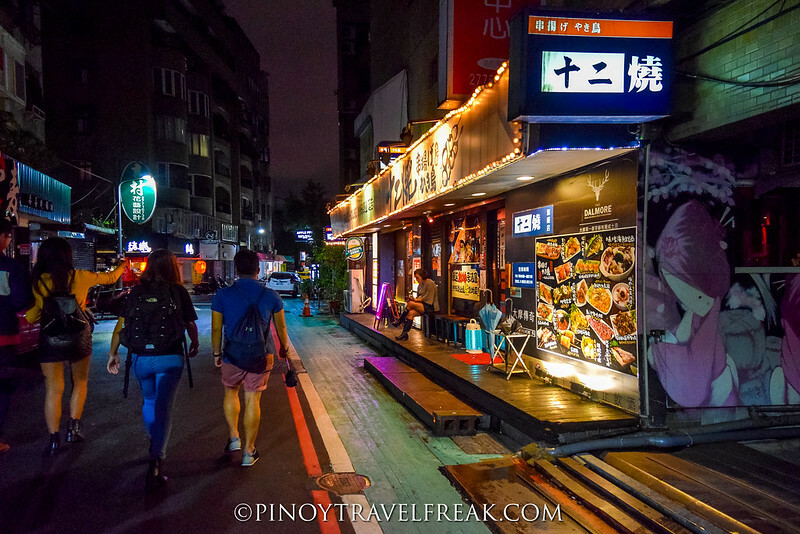 Here is the list of Taipei walking tours that TourMeAway is currently offering. 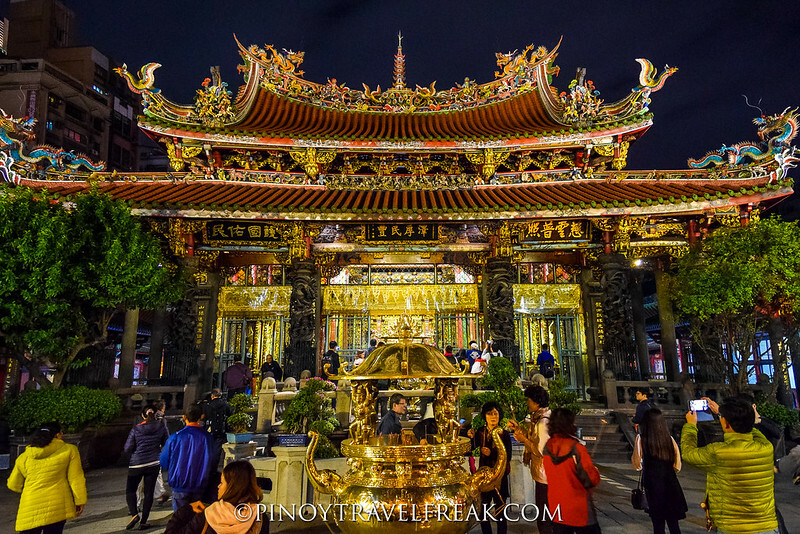 As the name implies, this tour is about exploring the old town of Taipei, including the hidden corners and popular attractions in the city. 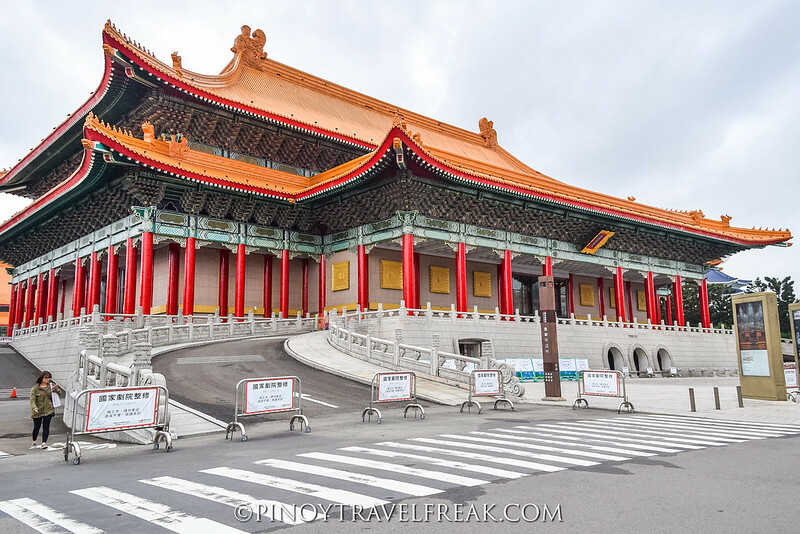 Some of the sites to visit include the 228 Peace Memorial Park, Presidential Office, National Taiwan Museum, Inner City Market, Zhongshan Hall, Ximending, and Red House. Our tour guide, Chester, was enthusiastic enough to share the history and stories behind the places we visited. 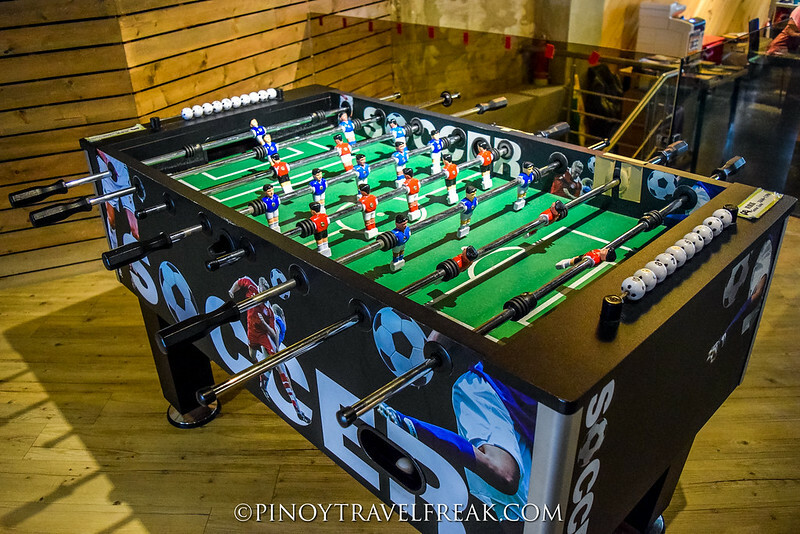 I think this is the most exciting one among the tours by TourMeAway. 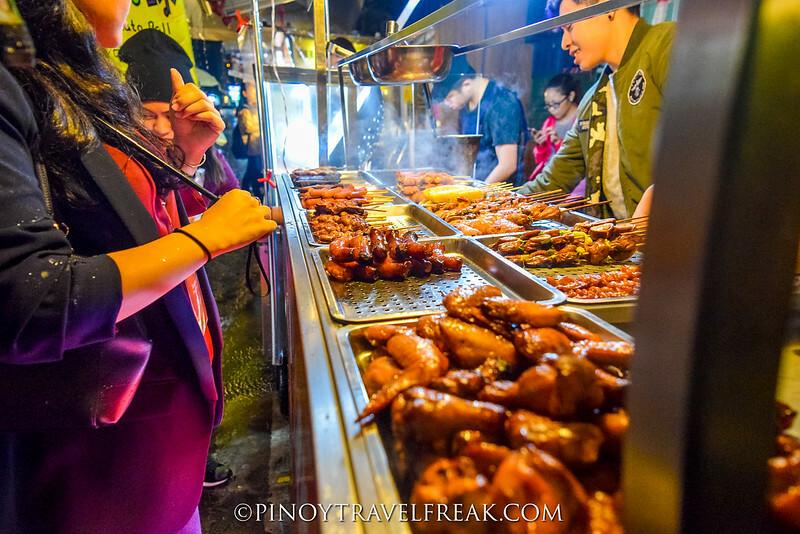 Food tasting is always a part of every traveler's must-do list and boy, Taipei has really something great and crazy to offer. They call it Hunger Game for a reason. 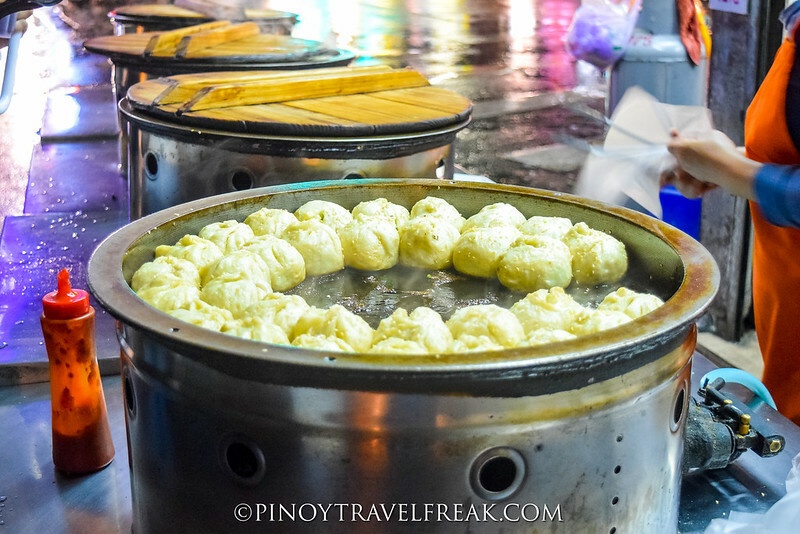 This is a food trip you will never forget. 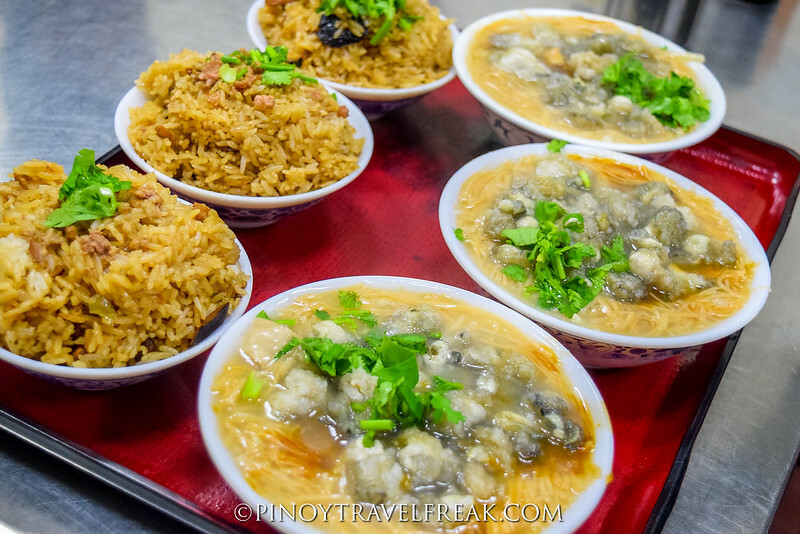 In this tour, you will be able to try 12 local dishes that you will either like or hate. 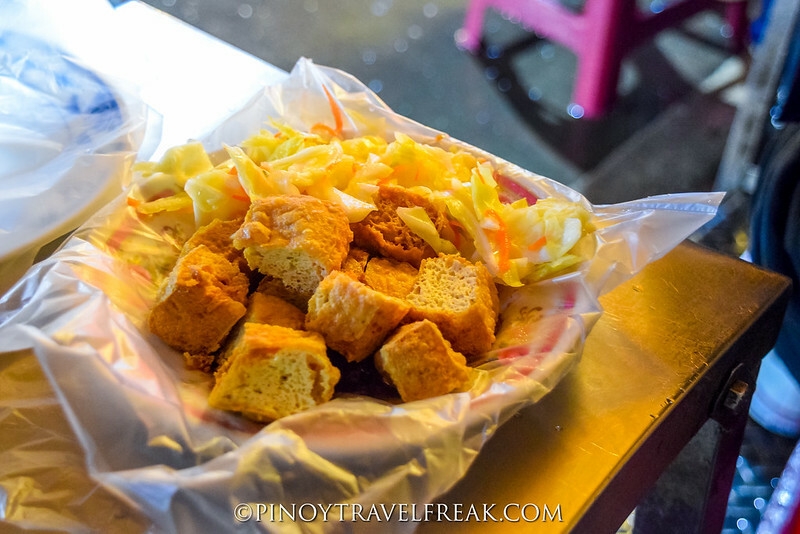 Our tour guide, Julie, took us to Jingmei Night Market to try some of the authentic Taiwanese dishes and street food such as fried pork bun (my most favorite), bitter tea, chicken intestines, intestine noodle soup, bean curd, and the finale of the night, the stinky tofu. 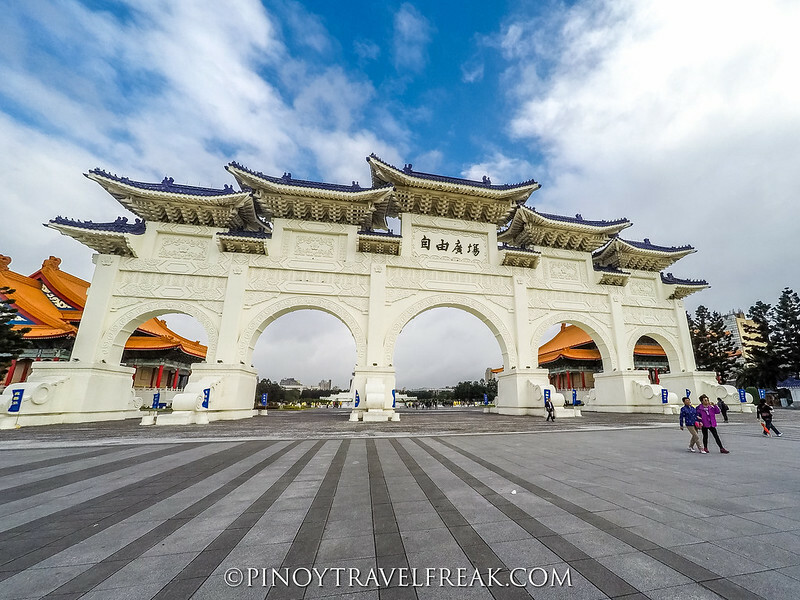 One of the places I was really excited to see in the list is the Chiang Kai-Shek Memorial Hall. But due to rainy weather, we reached this place already late and dark and we weren't able to explore the area. However, the sneaky in me has found a way to take a quick visit during our lunch break on our last day. Thanks to the very efficient MRT of Taipei, I was able to quickly get there and back just in time for our next tour in the itinerary. 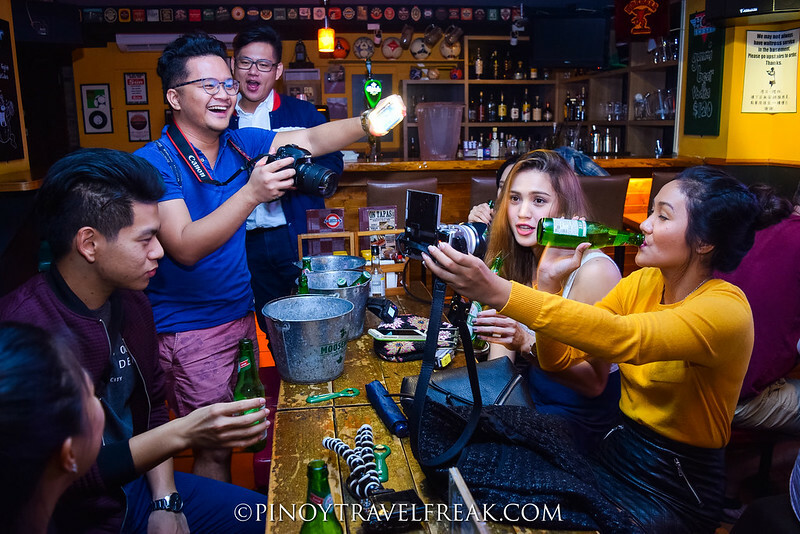 For party goers who want to experience Taipei's nightlife, this is the most fun tour to join in. By nightlife, I mean binge-drinking and endless booze in some of the city's best bars and night clubs. Among the tours, this is the most crazy and fun that we've experienced, I think. What made this tour even way crazier was our tour guide, Gordon, who was very funny and entertaining. 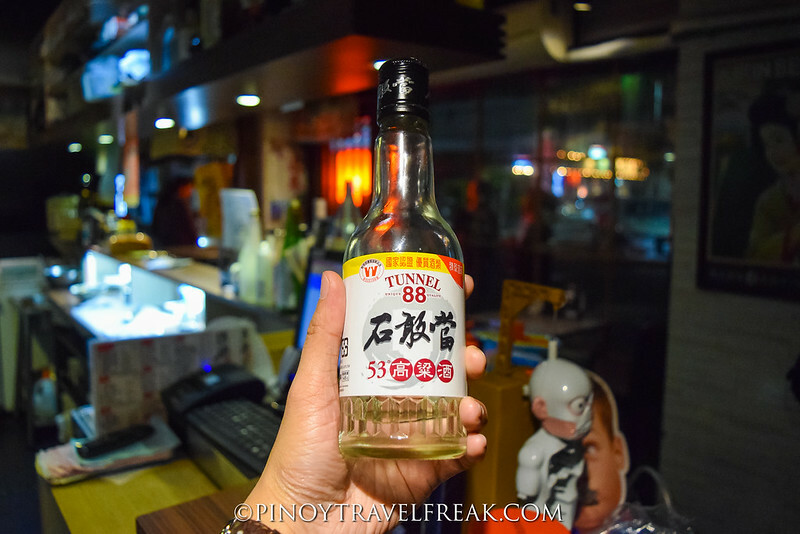 In this tour, you'll get to experience bar hopping and drinking Taiwan's local beers, rice wine and cocktails, and even Japanese food. 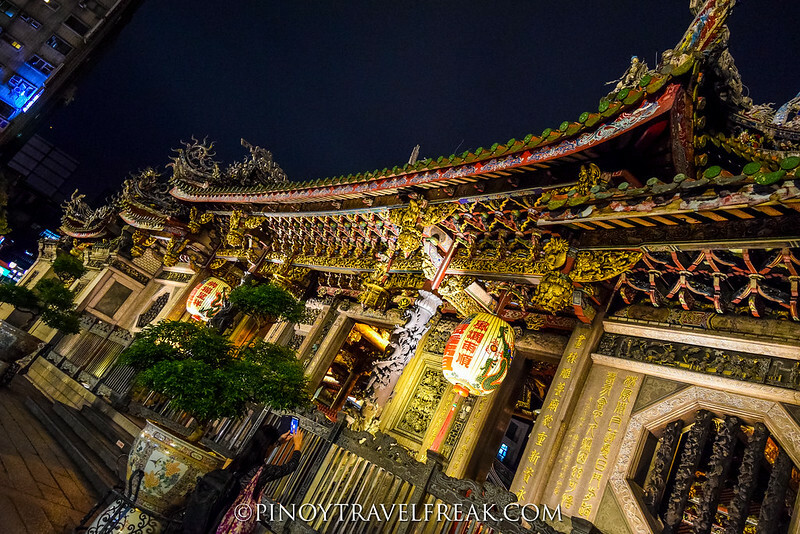 Also spelled as Lungshan Temple, this is a night tour in one of the largest and oldest temples in Taiwan and its ancient neighborhood. Unfortunately, we cancelled this tour due to the adjustments in schedule. Again, I was able to take a quick visit to this beautiful place by myself. I've always been fascinated by ancient temples and sacred sites so I didn't want to pass the chance to see it. So after dinner before checking out of the hostel, I decided to use my free time (instead of buying souvenirs) and went to Longshan Temple. 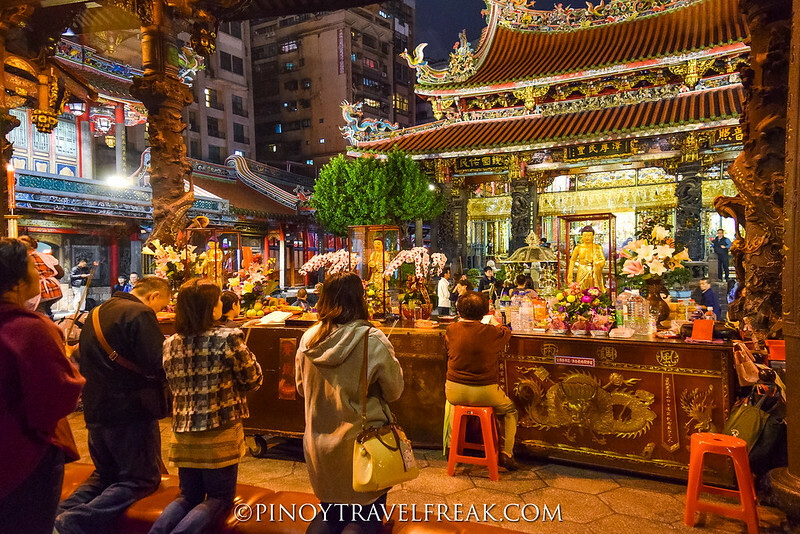 Taiwan is said to have a total of 33,000 places of worship, and some of them are found in Taipei City. 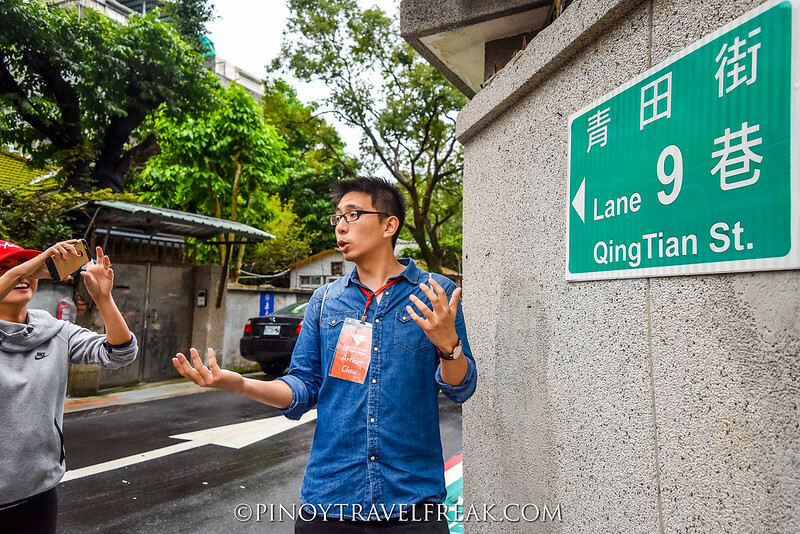 We never got to experience this, but this tour will take you to some of the oldest and traditional neighborhoods in Taipei. Secret districts and vintage treasures included in this tour are Ri Xing Type Foundry, Yongle Market, Watson’s Pharmacy, Dihua Street, and Xia Hai Temple. 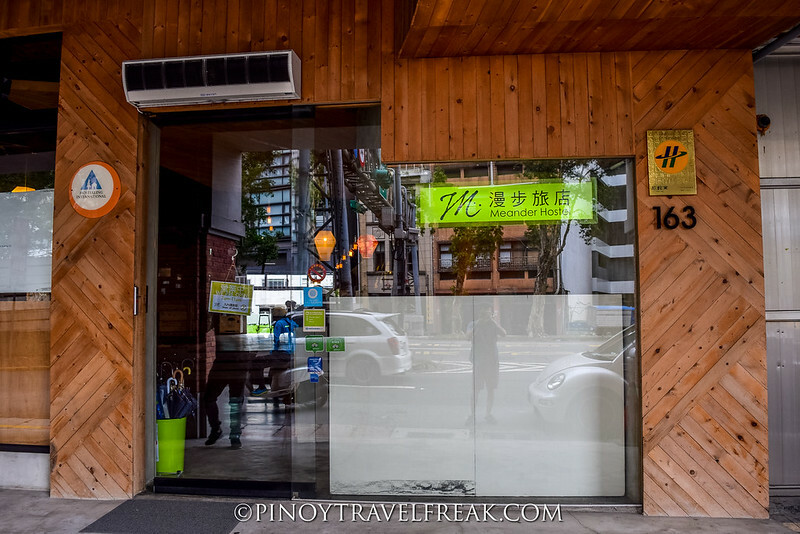 Our home for 3 nights in Taipei City is Meander Hostel located in the heart of the bustling district of Ximending. 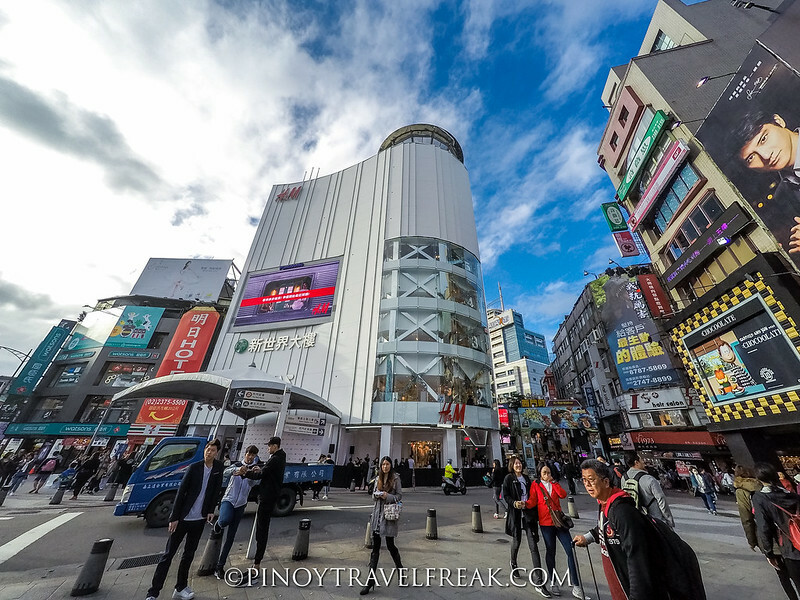 Ximending is one of the most popular shopping districts in Taiwan. 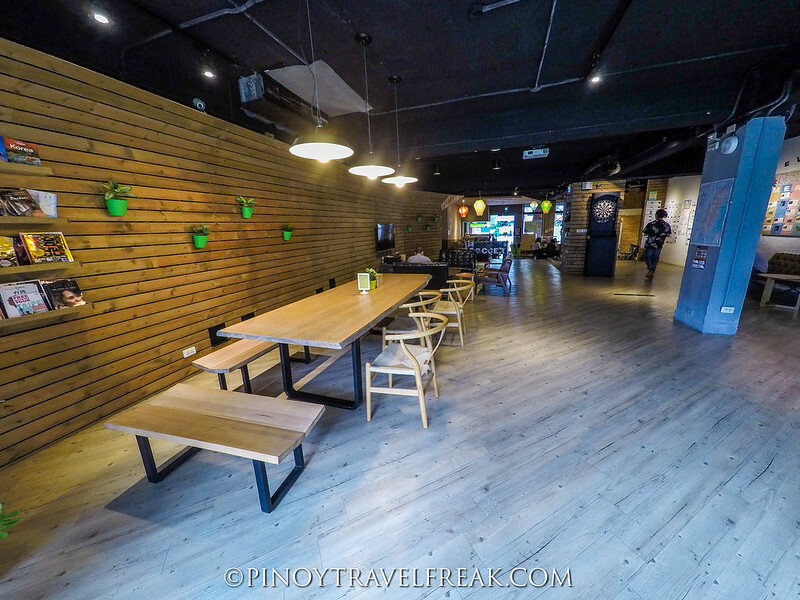 Meander Hostel is highly rated on TripAdvisor and is popular among backpackers offering high quality, budget accommodations. It is also conveniently located just 10 minutes walk from Ximen Station with access to Blue (Line 5) and Green (Line 3) MRT lines. 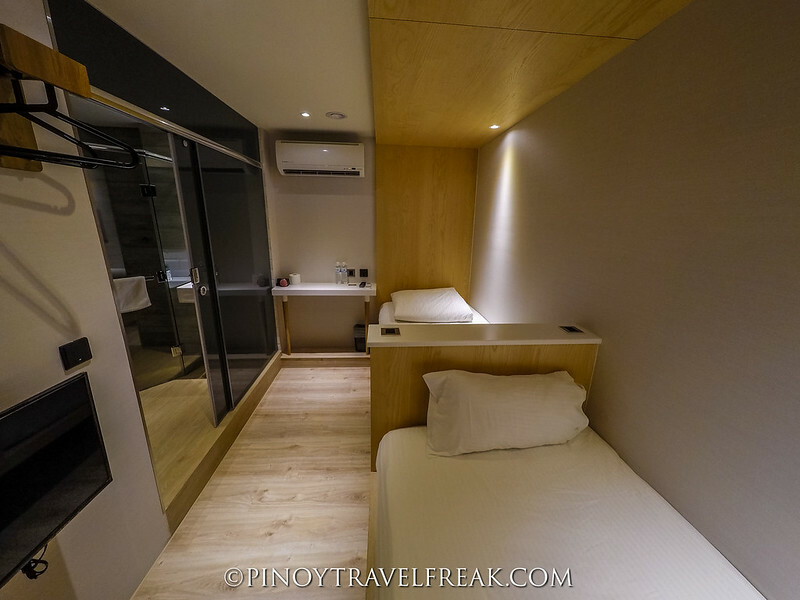 Jolo, my roommate, and I were assigned to Standard Double Ensuite, aircon room good for 2 persons, which I find cute and unique. It's one of their newest designs and has a Japanese-inspired look. It has private bathroom, hot and cold shower, TV, and hair dryer. 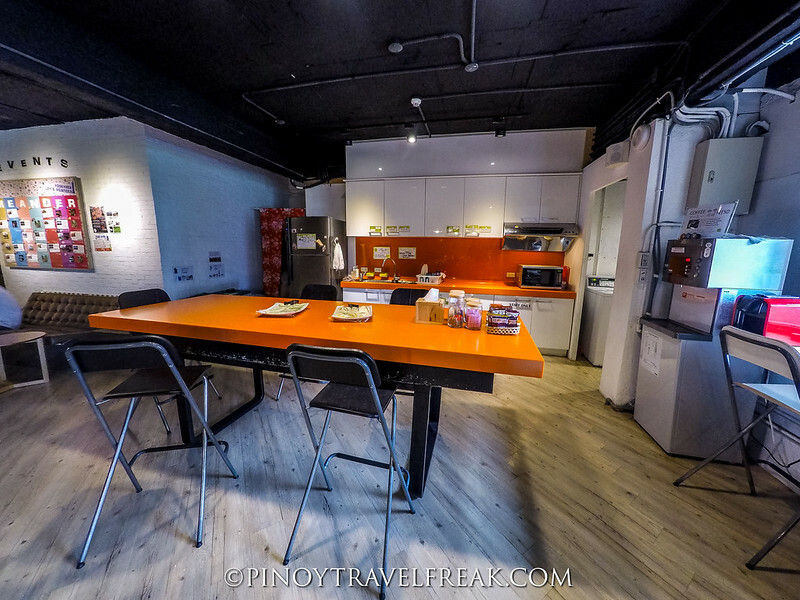 What I like about their room is despite being a backpacker hostel, it has lots of plug outlets! They also use universal power outlet which means you can plug virtually any type of plug into it, without the need of an adapter. The room is nice and clean, and the hot and cold shower is working perfectly. They also have private rooms good for 1, 3 and 4 persons. Aside from private rooms, they have mixed and female dorms with shared and private bathrooms. Meander Hostel facilities include free wifi, free drinking water, kitchen, public computer, coin laundry, coffee machine, tour services and free breakfast. 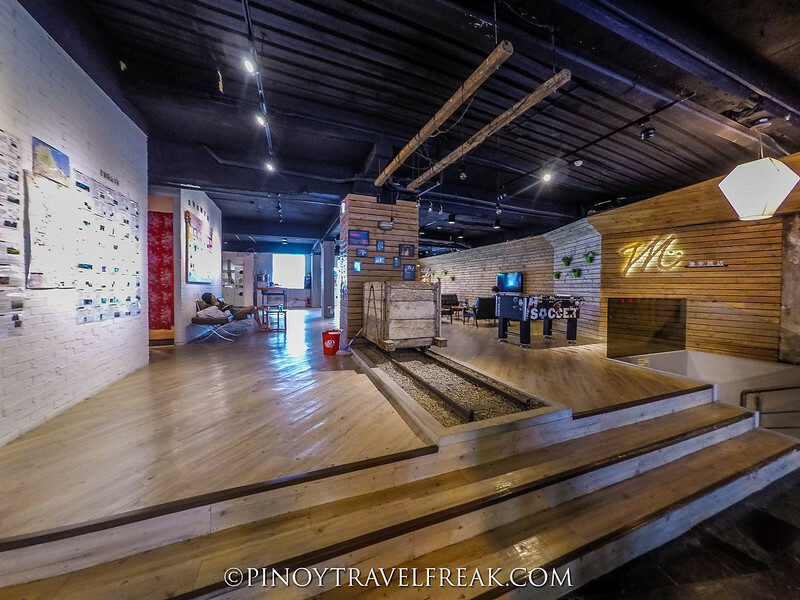 Meander Hostel has common areas which allow you to interact with other guests and meet new friends during your stay. On their website, it stated that there's no elevator so guests are advised to pack light. Fortunately, the elevator on the second floor is in operation during our stay making it convenient for us to carry our luggage to our room on higher floor. One of their house rules is to use indoor slippers while inside the hotel, and place your shoes in the shoe cabinet. 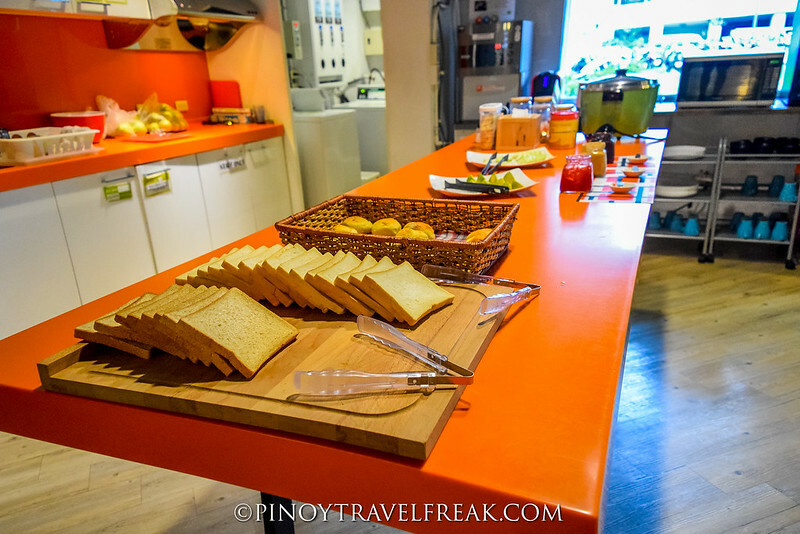 The staff are accommodating and friendly and they can speak in English well. The location is great, there is plenty of convenient stores and restaurants nearby. I would definitely stay here again if I come back to Taiwan. 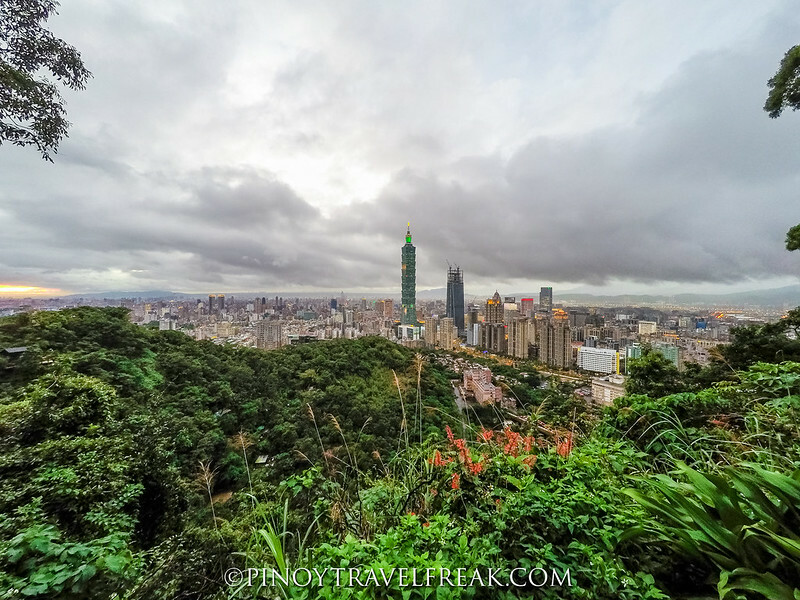 Climbing the peak of Elephant Mountain is one of the popular outdoor activities in Taipei. From the top, visitors will get to see the best view of the whole city, including Taipei's skyline. Tourists are advised to hike the mountain during late afternoon to catch the sunset. 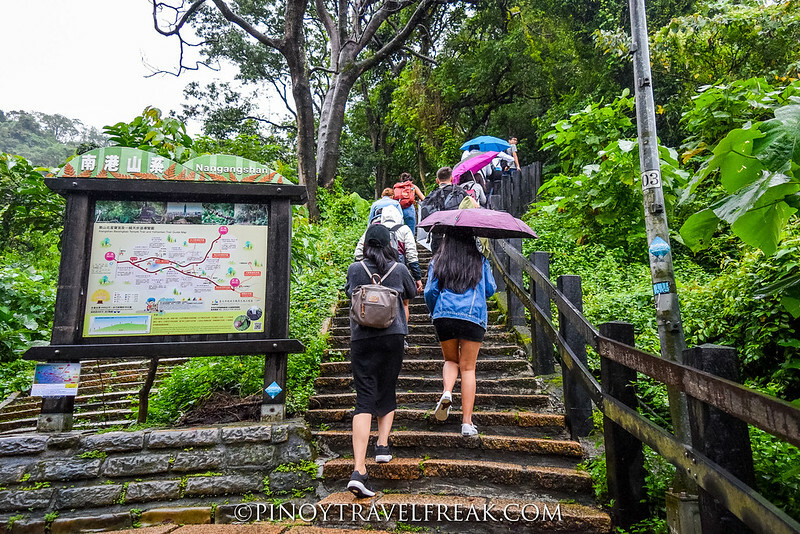 The trail consists of stairs and it will take about 20 minutes to get to the top making it an easy hike. It is also close to Xiangshan Station (Red Line) making it very accessible to anyone who would like to trek up Mt. Elephant. Formerly known as the Taipei World Financial Center, Taipei 101 is the tallest skyscraper in Taiwan spanning 101 stories above the ground. It used to be the world's tallest from 2004-2010 (now at 6th) and holds the record of having the fastest elevator going from the 5th floor to the 87 in 49 to 53 seconds. Sounds cool, right? But what's cool is the observation deck offering 360-degree views which is open to public. Unfortunately, we didn't go up to the observatory due to dismal weather thinking that the money we spend for the tickets will just go to waste. The first few floors is a shopping mall so we decided to stroll around and had our lunch at the world-famous Din Tai Fung restaurant. I didn't know Taiwan has one of the richest cultures in the world until this trip. I love how the traditional and modern cultures blend seamlessly in the bustling city. Compared to their Asian counterparts, I found Taipei to be one of the chillest cities and Taiwanese are the nicest and friendliest people on earth. 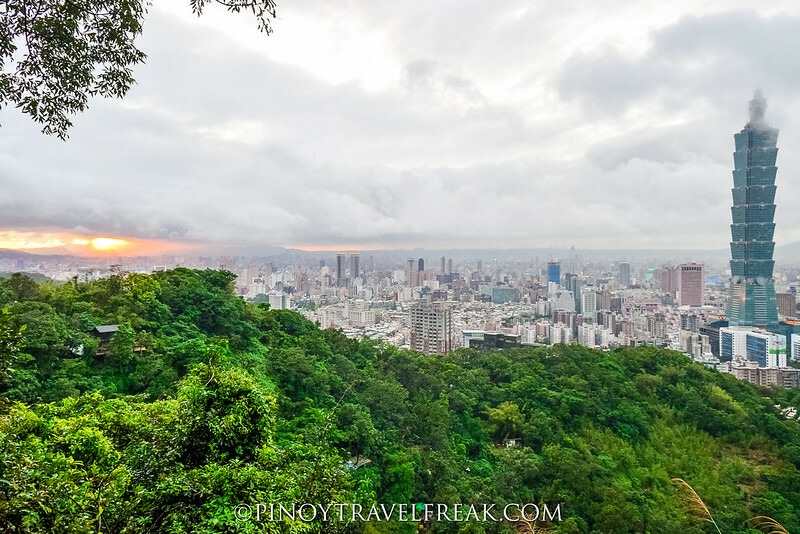 This is only few of what Taipei City has to offer, and there are more places to see and experience outside the city. I can't wait to go back and explore more of Taiwan. 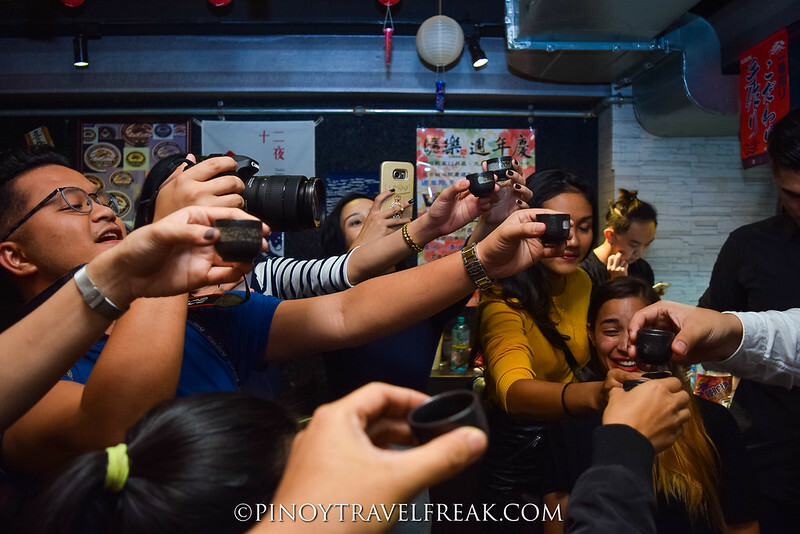 And with the addition of new flights from the Philippines, Taiwan expects a boost in tourism and more Filipinos have now the opportunity to travel to Taiwan. 1. Currency. 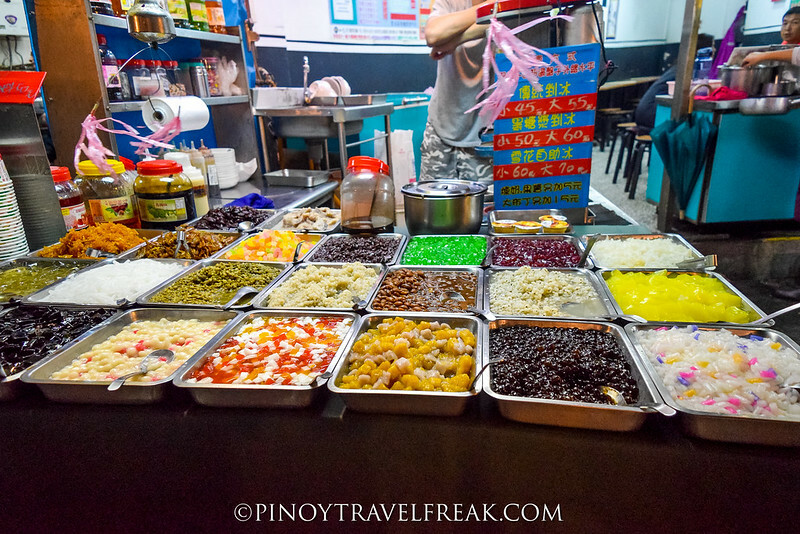 Even within the metro some of our friends had a hard time finding a shop that would exchange their Philippine peso to Taiwanese dollar, so better have a local currency ready or at least bring money in USD which is commonly accepted. The other option is to directly withdraw money from one of the local ATMs/banks for a good fee. 2. Easy card. MRT is the most convenient transportation option within the city so get a reloadable card as soon as you arrive. Cabs are fine if you're traveling in a group. Also, download the MRT lines map on your phone for easy navigation. 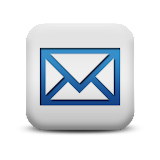 Travel apps such as Google Maps will be of great help as well. 3. Language barrier with random strangers can be a challenge. Before going out on a tour, we would ask for direction and guidance from the staff of Meander Hostel as they understand and speak in English. But don't worry, Taiwanese are very nice people. 4. 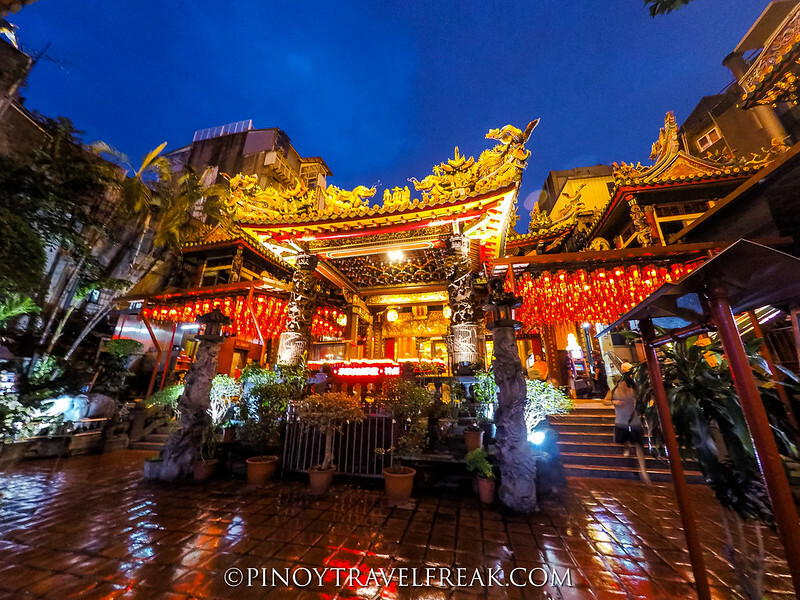 Tianhou is the nearest temple from Meander Hostel, just about 5 minutes walk from the hostel. 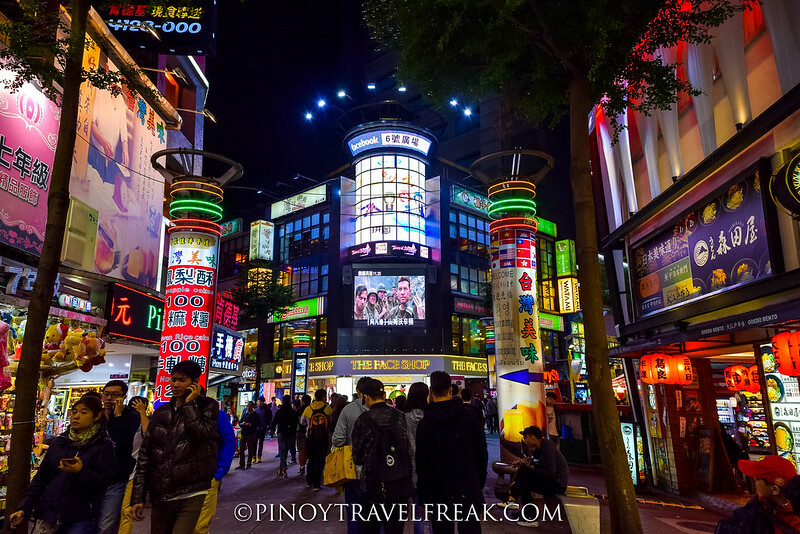 You will pass by it as you go to and from Ximen Station. 5. 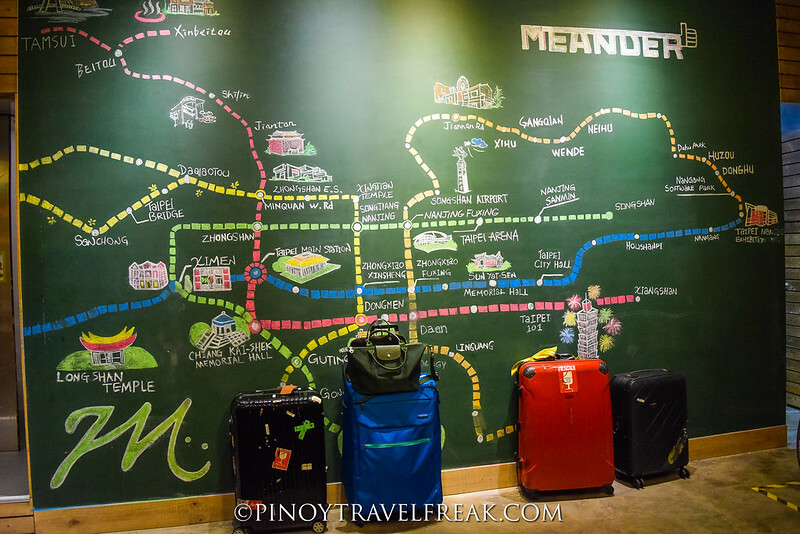 Explore the area around Meander Hostel. You will find lots of art walls and murals hidden in some alleys. 6. 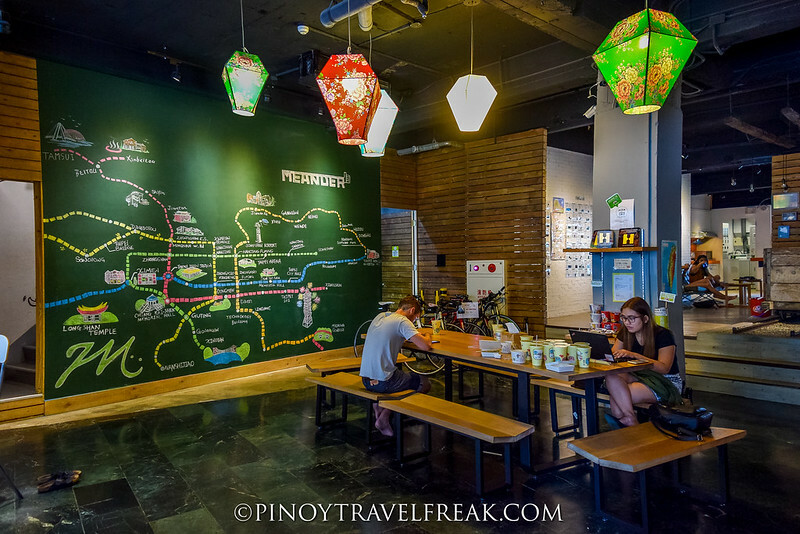 Rent a Flytpack travel wifi to experience unlimited internet in Taipei before leaving the Philippines. 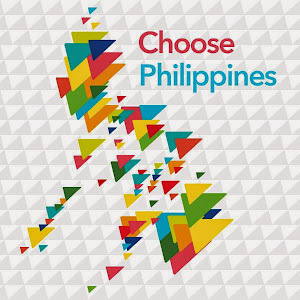 It only costs P250 per day and internet can be shared with friends. It's cheaper compared to buying local sim. 7. Convenient stores are found in every corner of the city. However, take note that convenient stores in Taipei City DON'T accept credit cards for payment.